Virtual reality is improving more and more every day. 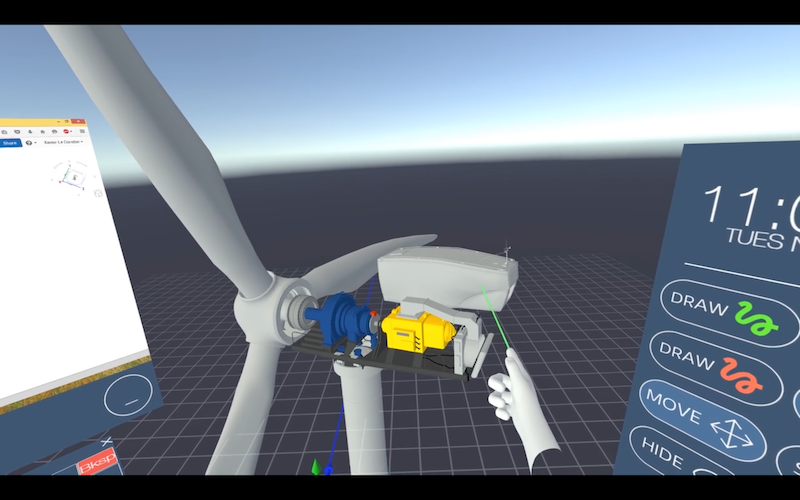 VR startups are revealing new and innovative applications that could revolutionize industries forever. VR will render location irrelevant, making meeting someone no longer a problem. As long as you have a headset, you can meet with anyone face to face. Face to face conversations in VR may not be available now but the future will arrive. Businesses can use this technology to collaborate and meet employees without physical constraints. As VR continues to grow and improve, the experiences will feel more real. But for now, here are the best business conference applications in virtual reality. Bigscreen is one is my favorites from this list. The main focus of this app is to help people collaborate and allow friends to hang out together. For business applications, Bigscreen is very useful. 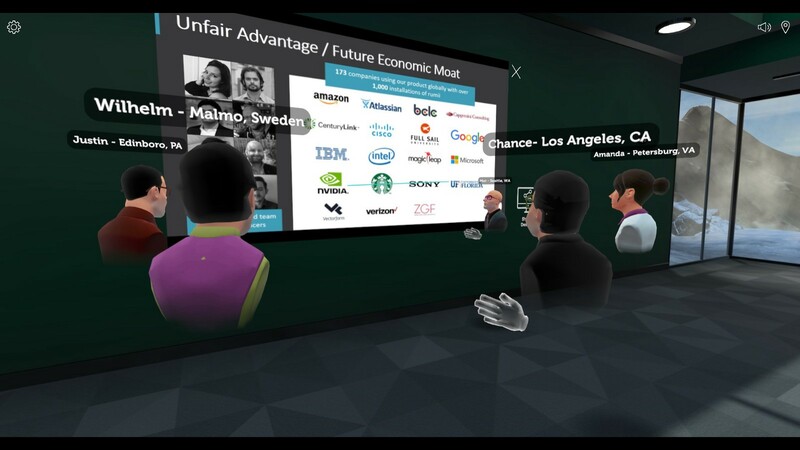 It can allow colleagues to meet and converse in VR. This can help them share ideas and work on projects together without leaving the comforts of their home. This is helpful especially when the people working together live miles apart. All the features of help Bigscreen feel authentic and intuitive. Rumii is similar to Bigscreen but is more focused on business and productivity. Doghead’s environment is made for official office work rather than for friends. What makes this unique to the others is the fact that you can use rumii on any device. With all this different supports, you can connect with anyone anywhere through any means. If you take a look at some of the screenshots, you can see how professional it looks. With the professional look and feel, rumii has a high chance of widespread adoption from companies. Available by downloading on Doghead Simulations website. Improov is different from the other apps presented in this list. While most of these apps focus on meetings on group work, this app focuses on the designers. Improov focuses more on CAD and BIM data rather than charts and graphs. The app can be used individually or in groups. The 3D modeling can be done inside of the app and presented to other members of your group. The models to have more accurate because VR allows for real-life scale compared to computers. After the model has been made, you can share it either through group conferences or through video chats. This app is really useful for those who are responsible for creating CAD models and sharing them. Available through download on Improov website. Cisco Spark is a cross-platform service that allows team members to work together over long distances. The software can be accessed through tablets, phones, and laptops. Now, Cisco is looking to move all of that into virtual reality. Cisco Spark’s main focus is to help team members work together even if they are miles apart. 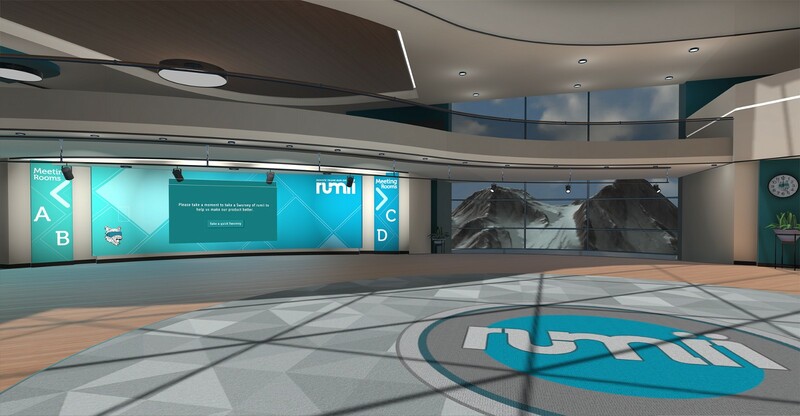 With VR, they can make that experience easier by making virtual space for members to meet and get work done. 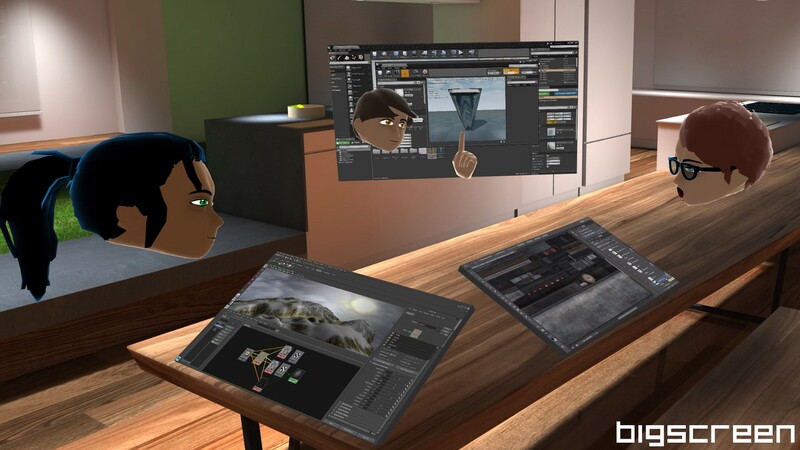 Instead of sending messages back and forth, team members can work more efficiently through VR. meetingRoom is in its early beta stages available for public use. The potential of the app is huge. meetingRoom uses both Wi-Fi and 5G to make sure that calls are not dropped. This makes sure that every call goes as smooth as possible. The application also has security measures set in place so that all your data can stay secure. meetingRoom was founded in 2017, so is still in iitsearly stages. But as time goes on, this app will continue to grow and get better. Objective Theory is a mixed reality software company focused on developing software for HoloLens and Windows Mixed Reality headsets. They created a collaboration software that allows several people to work together from different locations. This is an upcoming product from TeleSoftas, a software development company. Working demo is unavailable but the concept looks promising. There have been small teases released by the company over the past year. But I am excited to see what the working demo will look like. WayRay’s Navion has a lot of potential in the augmented reality field. One of it’s largest impacts could be in making roads safer and preventing car accidents. The best part is that everyone has access to it since it’s a separate device. This is the first step in implementing an augmented reality. It will change and revolutionize the way we drive. What do you guys think? Will this be the future of driving?